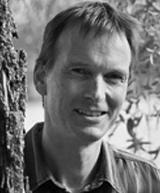 Dr Marcus Lindner has been Head of Programme Sustainability and Climate Change at the European Forest Institute since 2003. Dr Lindner studied forest science at the University of Freiburg, Germany and obtained a PhD from the University of Potsdam, Germany with a dissertation in Geoecology: “The Impact of Climate Change on Managed Forests in Central Europe”. He has 20 years’ experience in research on climate change impacts and the development of response strategies in forest management, forest sector sustainability assessment and environmentally constrained bioenergy potentials from European forests. Dr Lindner coordinated the development of the Tool for Sustainability Impact Assessment (ToSIA) in the EFORWOOD project and is currently involved in projects like MOTIVE, GHG-EUROPE, and VOLANTE, where he leads a work package on Pathways Towards Desired Land Use Futures. Marcus has a vision to support the transition to sustainable resource utilization by providing science-based knowledge to policy and practice. He believes in the important contribution of the forest sector in a future bio-economy and contributes his expertise on carbon sequestration, sustainability assessment, systems analysis and value chain thinking to the Trust activities.